Everyone has heard of the Apache - both the Native American tribe and the most popular web server, first to hit 100 million installations worldwide. It runs on home servers hosting personal homepages as well as in data centers hosting thousands of commercials websites. No matter the use case, there is a slight chance that something will go wrong. And it just did... what now? The very first suggestion tells to look into Apache’s logs. So I ssh to my server and start looking for those log files. Found them. But browsing those in vi as they are is impossible. I’m gonna need some help. “Non-invasive with a small footprint”. Sounds perfect - downloading. Ok, what now?...start new search/ tail. 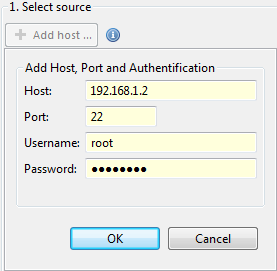 192.168.1.2, port 22, username, password. Now where were those log files... ah, there they are. ...and clicking the "Start Search" button. 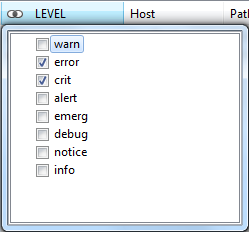 Lets try and change the log filtering to see ERROR and CRITICAL log entries only. Much better. I think I got it - looks like the php module decided to take a vacation and stopped responding I’m gonna have to try and restart apache service or reinstall the PHP module if this doesn’t help.